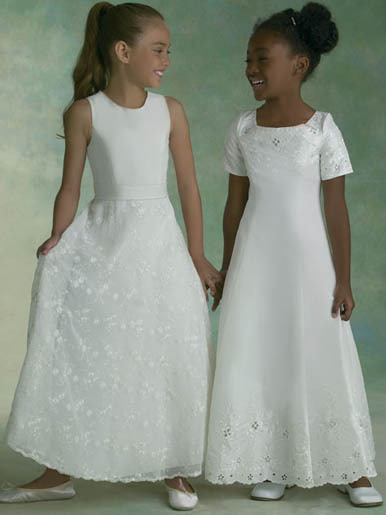 Short sleeve lace dresses, white short sleeve dresses. 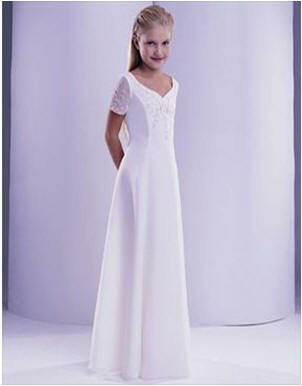 Short Sleeve dresses, short sleeve lace dresses, white short sleeve dresses. 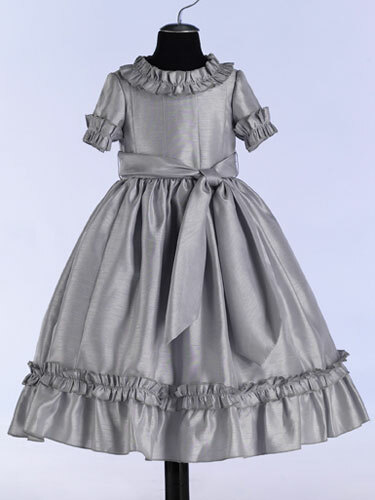 Short sleeve children's dresses. 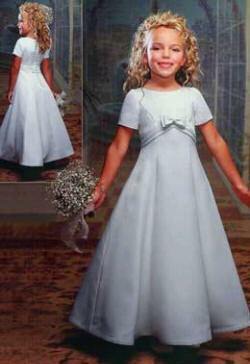 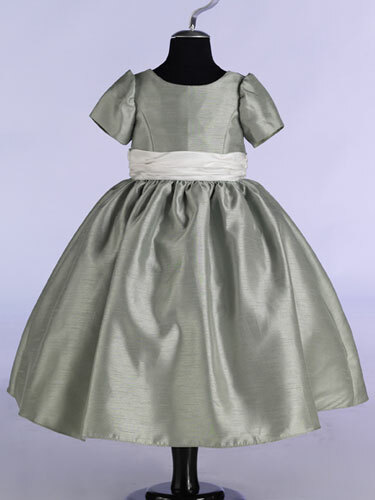 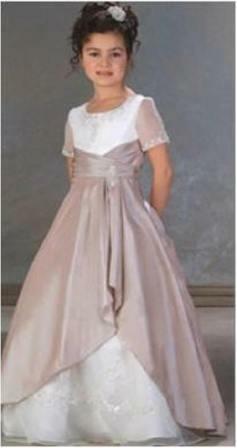 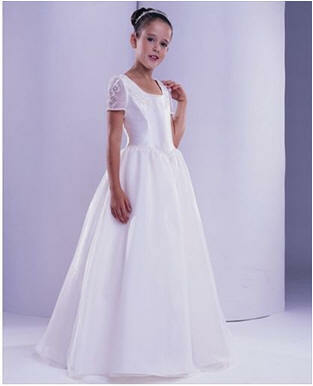 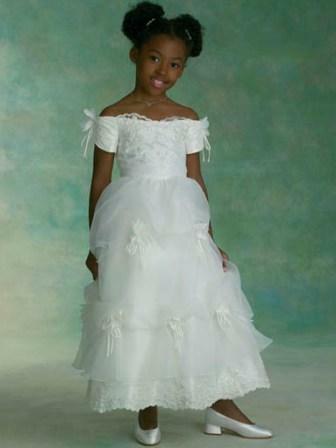 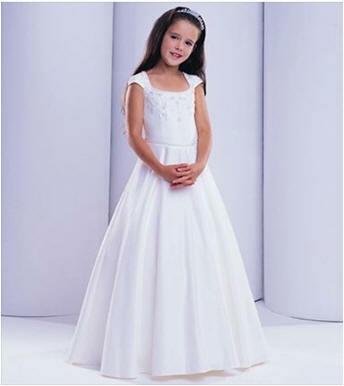 Little girls short sleeve girls dresses, party dresses are best when created at a custom boutique. 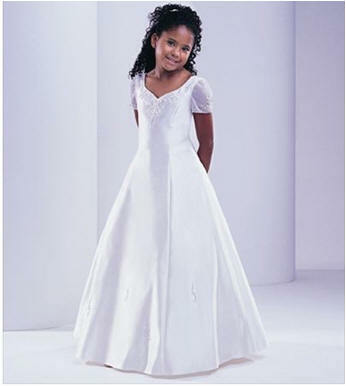 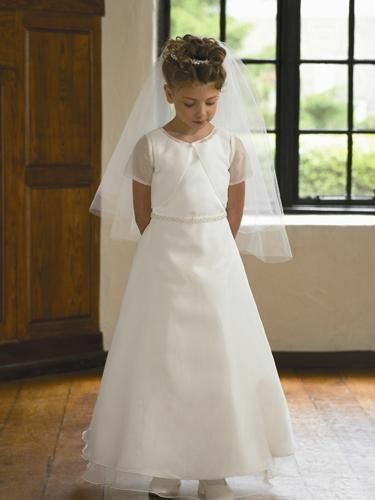 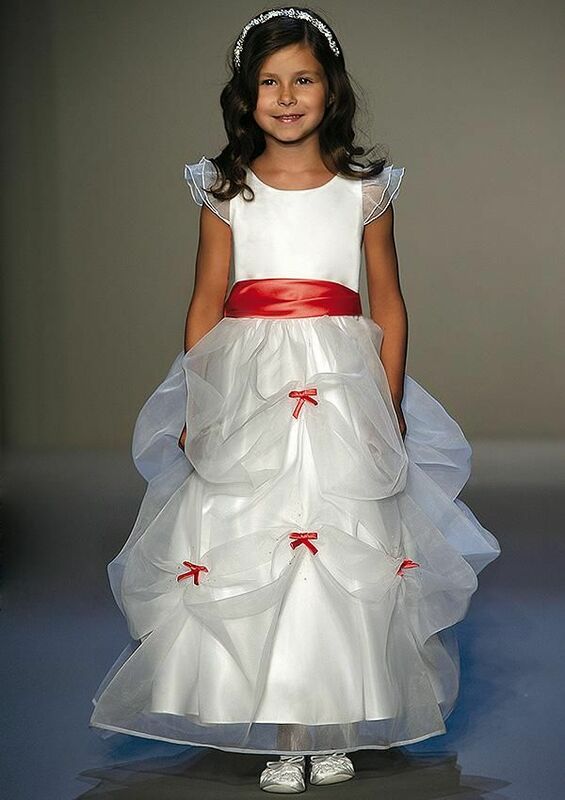 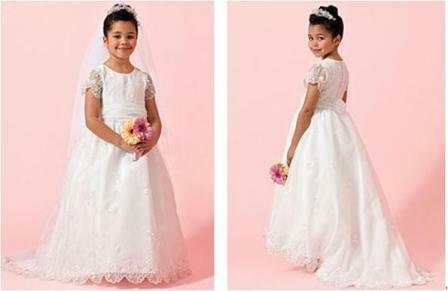 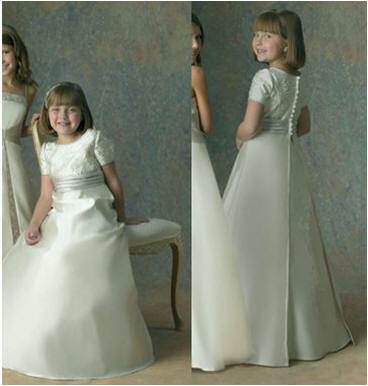 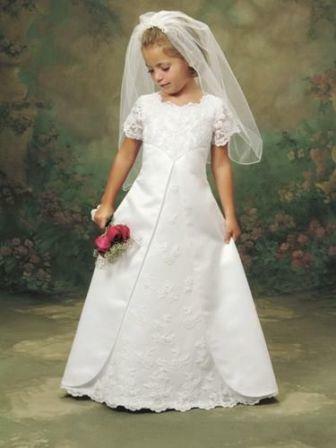 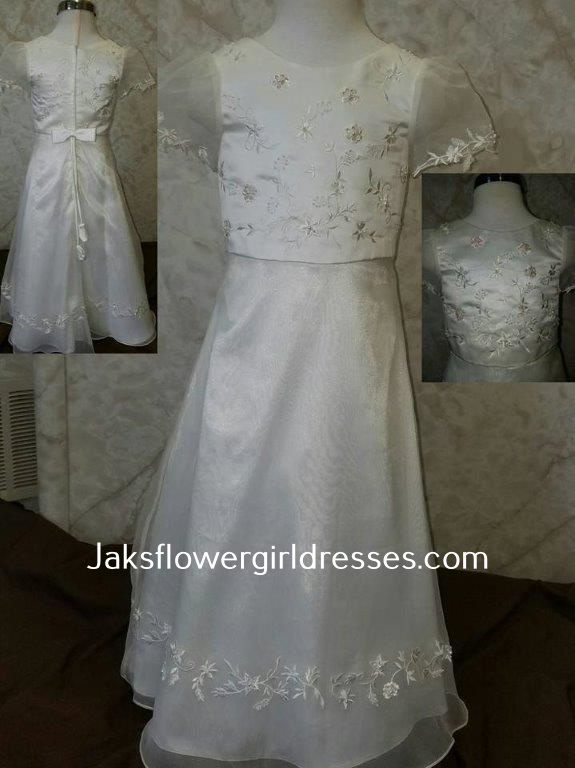 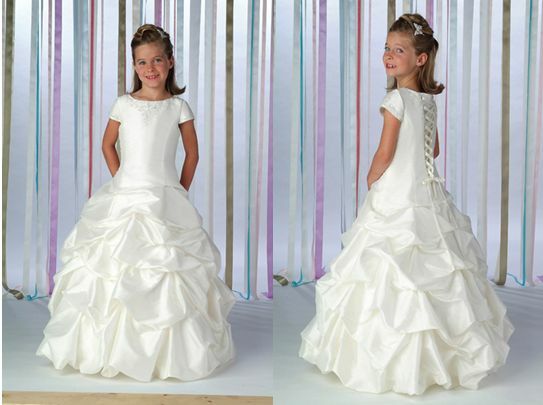 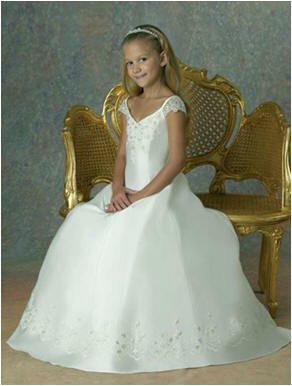 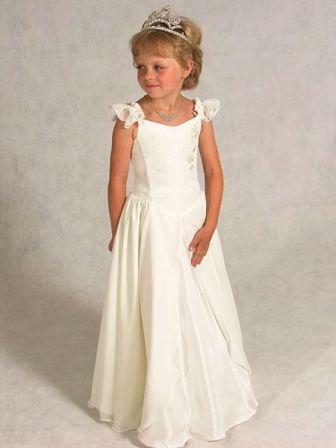 A satin ball gown-shaped flower girl dress with a scoop neckline and short sleeves features a beaded embroidered detail on the center neckline, and the skirt is full and gathered in floor length. 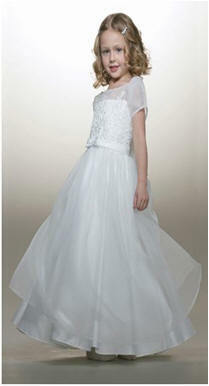 Slightly dropped waist. 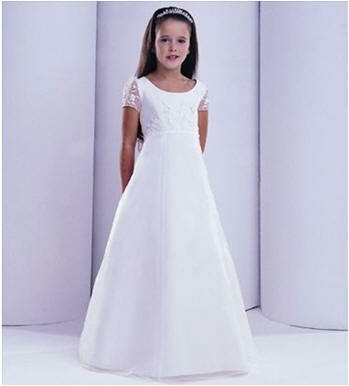 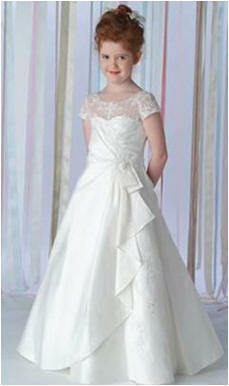 Adults $190.00 Matching coral and white bridal party dresses.